During the early decades of the 20th century, the movement of blacks from the South to urban areas in the North, the Midwest, and the West increased dramatically. They sought better lives away from the South, where the economic conditions were worsening. The only job opportunities were sharecropping land where their ancestors had been enslaved or doing domestic labor. Widespread flooding and the infestation of cotton by the boll weevil created additional economic woes. In addition, mob violence and the spread of lynching in the region pushed blacks to migrate north. By 1918, European immigration had dropped sharply, and the North needed workers due to the United States entering World War I. Although not all Northerners welcomed the migrants and violence against blacks increased in the North, some blacks found that mobility was the only way to escape oppression and improve their lives. 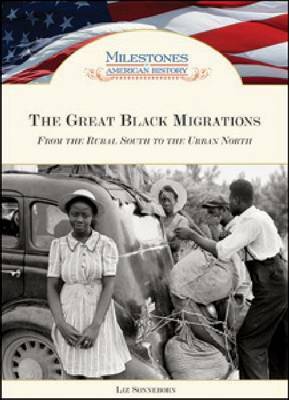 In The Great Black Migrations: From the Rural South to the Urban North, learn how blacks have reshaped America while also reshaping their own lives.